The British government still owns more than 80% of RBS. Regulators extracted a settlement from Royal Bank of Scotland Thursday in a case that touches on one of the key causes of the financial crisis. RBS (RBS) agreed to pay $153.7 million to settle charges from the Securities and Exchange Commission that one of its subsidiaries misled investors about a risky, bubble-era mortgage security. The SEC says that in 2007, the firm told investors in a $2.2 billion security backed by subprime mortgages that the loans "generally" met the guidelines of the original lender, Option One Mortgage Corporation. These guidelines related to the value of the properties and the borrowers' ability to repay their loans. In fact, limited due diligence work allegedly indicated that nearly 30% of the mortgages underlying the security didn't meet the guidelines. Investors in the security have lost at least $80 million to date, the SEC said. "RBS cut corners and failed to complete adequate due diligence, with predictable results," George Canellos, the co-director of the SEC's enforcement division, said in a statement. The bank's $153.7 million payment will be used to compensate investors. As is common in SEC cases, RBS settled without admitting or denying the allegations. "RBS has cooperated fully with the SEC throughout the investigation," the bank said in a statement. 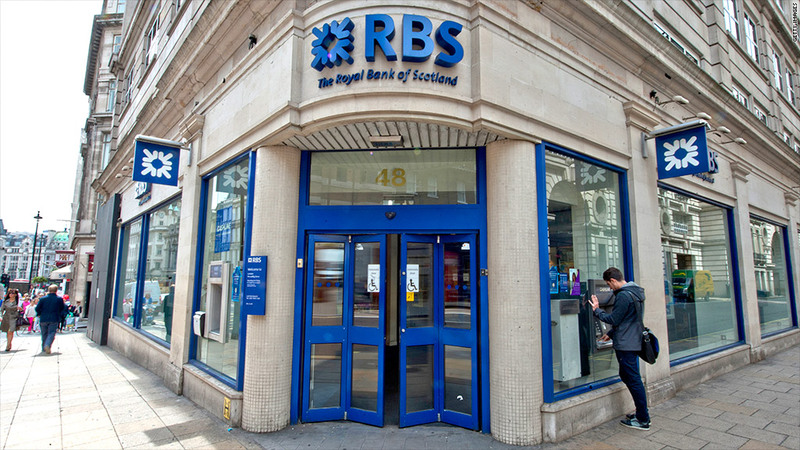 The British government still owns more than 80% of RBS following its 2008 bailout. Mortgage-backed securities sold by Wall Street firms played a central role in the financial crisis. They failed in droves as the housing market cratered, saddling banks and investors with massive losses. Regulators have been pursuing a number of mortgage-backed-security cases in recent months. JPMorgan (JPM) agreed last month to pay $5.1 billion to Fannie Mae and Freddie Mac to resolve claims stemming for the housing bubble. The bank is expected to reach a similar settlement shortly with the Department of Justice and other government agencies. Bank of America (BAC)is also contending with a number of mortgage security investigations, and will likely be on the hook for billions of dollars' worth of future settlements.